NEW YORK (CNNMoney) - Elon Musk is about to test out his new creation: The Falcon Heavy. If it works, Falcon Heavy will become the world's most powerful operational rocket. Its first uncrewed test flight is scheduled for Tuesday between 1:30 pm and 4 pm ET at Kennedy Space Center in Florida. "It's the biggest rocket in the world by far," SpaceX CEO Musk told CNN's Rachel Crane Monday. With its 27 engines, the rocket will give off a thrust equal to 18 Boeing 747 jetliners. With that kind of thrust, Falcon Heavy will be capable of sending humans to the moon or Mars, SpaceX says. 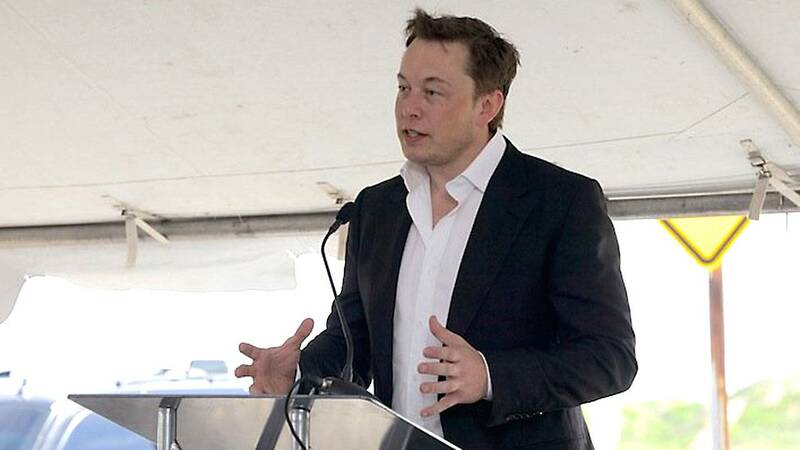 "It really creates a great sense of possibility if this mission is successful," Musk said. Near the launch site on Florida's Space Coast, hotels rooms are sold out, parking lots are packed and thousands of people are anxiously awaiting the launch. But Musk wants to keep expectations in check. This is a test flight, and the Falcon Heavy's massive power comes with big risks. "People [came] from all around the world," he said, "to see what will either be a great rocket launch or the best fireworks display they've ever seen." The Falcon Heavy has three first-stage rocket boosters at its base. And SpaceX will attempt to land all of them back on Earth after launch. They've pulled a similar move off more than 20 times before with its smaller rocket, the Falcon 9. But that had just one first-stage booster. For the Falcon Heavy, SpaceX had to develop a way to strap the boosters together, as well as a way to detach the boosters from each other after launch. Musk isn't sure how it'll work. "The separation system that tosses off the side boosters has never been tested before in space," he said. "This is really a crazy amount of power coming through this, and it's really a miracle that the rocket holds together at all." If all goes well, the two side boosters will land simultaneously back at Kennedy Space Center, and the center booster will land on a sea-faring platform called a droneship. No matter what happens, this is a huge moment for his space company. "It's like the first time something exciting has happened in rocket launch in a long time," Musk said.